What Is the Difference Between a Headstall and a Bridle? Knowing the proper terminology for your horse's equipment is an important part of good horsemanship. The headstall and the bridle are not precisely the same piece of tack, but the terms can be used somewhat interchangeably, depending on what discipline of riding you are involved in. Understanding the differences between a headstall and a bridle will help you communicate more effectively with other horse enthusiasts. The term headstall is used primarily in western riding, and refers to the piece of equipment that goes on the horse's head and attaches to the cheek pieces, which hold the bit in his mouth. By itself, a headstall is not a functional piece of equipment. It is a piece of the bridle. It is the central piece of the bridle and you cannot have a bridle without a headstall. The headstall can be as simple as a plain piece of leather or nylon that goes behind the ears and has cheek pieces that attach to the bit on either end. Most western headstalls feature either a brow band or a split ear design. Some also have a throat latch. It is normal to have additional pieces added to the headstall to make a more complete and functional piece of tack. Bridle is the term used commonly to describe the device that is used to hold the bit in the horse's mouth. A bridle consists of multiple pieces, including the browband, throat latch, noseband, headstall, cheek pieces, bit and reins. When you purchase a bridle, you can expect everything you need, except the bit, to be included in the sale. When you purchase a headstall, you are getting the headstall itself and the cheek pieces that go with it. In some western riding disciplines, the bridle minus the reins and bit occasionally may be referred to as a headstall. In English riding, the bridle almost always is called a bridle and the headstall, or headpiece, is identified only as the piece of the bridle that goes behind the horse's ears and connects to the cheek pieces. Regardless of whether you are an English or a Western rider, the headstall and bridle serve the same basic function. The headstall will attach to the cheek pieces and the bit is attached at the end of the cheek pieces. The reins then are fastened to the bit. 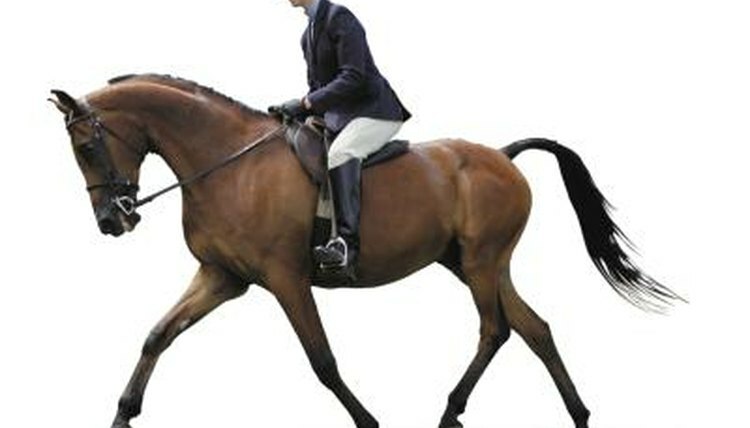 The pressure on the bit is used to steer the horse and direct him when to stop. While terminology can vary slightly, function does not. Where Does the Curb Strap Go on a Bridle? What Tack Do You Absolutely Need to Ride a Horse? Are One-Ear Bridles Better for Horses? What Is the Softest Type of Bit?